By now we all know Oregon has landed an elite recruiting class. It is signed, sealed and delivered with a chance at it even being a bit better with Puka Nacua lingering. There is no doubt Mario Cristobal is a big reason why Oregon had such success. But even he can’t do it alone. It was a team effort on nearly every target across the board. Coach Cristobal has talked about this process extensively in many of his post-signing day interviews. 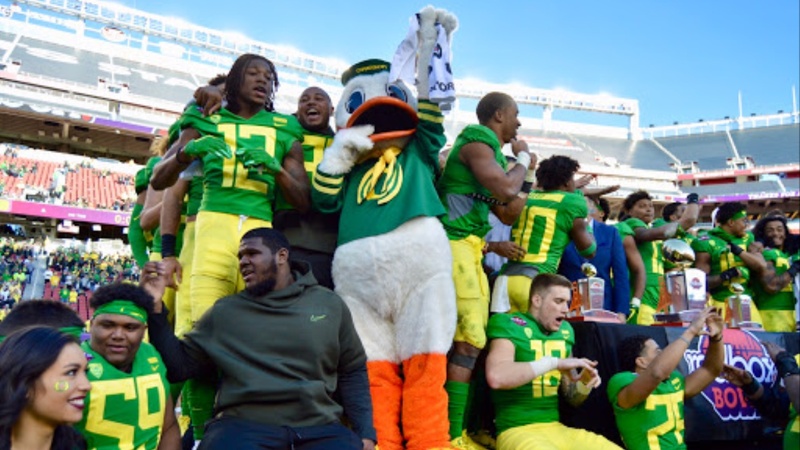 Even though some coaches have come and gone, Oregon had built a strong enough relationship with many of them by working as a team. Sure in some cases one coach might have led the charge, but he was helped by others on the staff including the involvement of Mario Cristobal on a daily basis. If you listened to Thursday’s podcast with Mario Cristobal, he walked us through every commit and mentioned the coaches involved with signing them. While Keith Heyward or Marcus Arroyo or Big Joe might get the credit with recruiting services, the results are more of a team effort, not an individual effort. Without further ado, here is how it was broken down by coach Cristobal. Just assume coach Cristobal was involved with each of them.